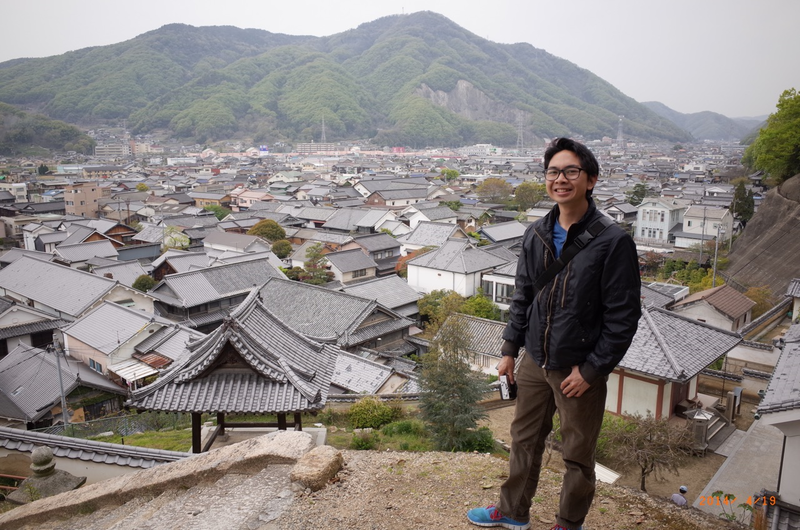 My name is Nick Susatyo and I’m a Non-Native English Speaking Teacher (nNEST) currently working in Japan. I was born in Indonesia, but I haven’t lived there for the past 8 years (a third of my life). I really just consider it my Passport Country. It’s been a long journey and I’ve been through a lot to get where I am today. I’ll share my story with you in this article. Before I even entered the TEFL industry, I could sense there was some prejudice against nNESTs. I researched all the information available on the Cambridge Certificate for English Language Teaching for Adults (CELTA) for a year before actually enrolling into the course, and one day I visited the International House in my city, which at that time was Sydney. During my chat with the school director, I asked her as straightforward as I could: If I obtained a CELTA (and my BSc degree), what are my chances of getting a job, since I’m a non-native speaker of English? “At least in Australia, you’re protected by the equal employment rights. It means it is unlawful for employers to hire someone based on their race,” said the school director. But do schools really abide by the law?, I wondered. And what about other countries where such laws do not exist? I didn’t ask, but my gut feeling, which turned out later to be true, was that many nNESTs would be at a disadvantage when competing for a job even with a less qualified and less experienced NEST. At that same time, my decision to become an English teacher seemed to have left my family and friends somewhat bewildered. Isn’t it a job for a native English speaker? Can you even teach a language that is not your own?, they asked. And my usual response to those questions ever since has been: Yes, maybe it would be seen as a strange fact 40 years ago, but not today, in 2014, when English has gone global, when non-native speakers outnumber natives 6 to 1. And the world is blessed with hundreds of English accents; I don’t believe English teaching profession is only for native speakers from the US, UK, Australia, New Zealand and Canada. English is the international language for a reason. When I was looking for a job in Japan, about 80% of the job ads said, “You must currently reside in Japan.” So I decided to go to Japan with a tourist visa (90-days). I thought that this increased my odds of getting a job by showing commitment and willingness to live in that country. I contacted a good friend of mine who lived in a rural town in the Kochi prefecture and stayed with him whilst looking for a job, which is also what a lot of foreigners do while job-hunting. Why Japan? Well, I have studied Japanese before, and my friend was willing to put me up and help me with my job search, so I basically just walked through the door that was already opened. The main English teaching jobs in Japan are divided into two categories: English conversation schools (“eikaiwa”) and Assistant Language Teacher (ALT). My job belongs to the latter. Eikaiwa is easy to explain: it’s pretty much like other language schools in other parts of the world – it’s a conversation class, often attended by students who are planning to take TOEIC exams (Test of English for International Communication). On the other hand, ALTs don’t work in language schools; they work in public schools (Kindergarten, Elementary School, Junior High School, Senior High School), and are obliged to teach alongside a Japanese Teacher of English (JTE) or a homeroom teacher, who tend to translate everything into Japanese. The basic requirement for both jobs is to have a university degree in any discipline. When it comes to more specific requirements, eikaiwa schools are pickier than ALT jobs. Often they require CELTA, DELTA or an equivalent, and they often prefer teachers with experience in a specific area (e.g. teaching young learners or business English). I had zero teaching experience but CELTA helped me get hired since many ALTs do not have any teaching qualifications and are hired solely on the grounds of being a native speaker. In addition, since ALTs also work as “cultural ambassadors” – often schools like to hear perspectives not only from native English speaking countries, but also European or other Asian countries, for example. But then again, we are talking about a minority; I imagine less than 10% of all ALTs in Japan. In ALT jobs, you are required to be able to speak at least basic Japanese. It is true that a lot of ALT job ads do not mention this, but there are some very good reasons why they should. Firstly, you can’t expect the teachers of other subjects in public schools in Japan to be able to speak English to you (after all, it’s Japan). I don’t know about other ALTs, but I do want to get along with my colleagues. Secondly, if you want to get to know your students, knowing Japanese might help. How tough was it for a nNEST like me to get a teaching job in Japan? Very tough. In fact, I was on the verge of packing and catching a flight back home a few times. I often cried in desperation, and I also cried in celebration when I officially got my first real teaching job. I still had to pack, but for a much better reason: to move to my allocated city. I think one of the main reasons it was tough is because, in the job application system in Japan, you are obliged to state your nationality and attach your photo. This can lead to a situation when applications are filtered out based on their ‘nativeness’ and looks (preferably white). As a result, most nNESTs will be rejected out-of-hand, regardless of their qualifications and experience. In my case, from over a hundred applications I had sent, I received only 3 replies. I tried to keep my optimism at this stage, and I thought, if the school is judging applicants based on their race, I probably don’t want to work for them anyway. What definitely did help me was my academic background. I was educated in Australia, and I had lived there for quite a long time. Holding the CELTA didn’t hurt, either. It is important to note that all my students (aged 6-15) are not yet aware of different accents in English. In other words, although I have a tinge of foreign accents, to them I just sound like a “native speaker” to them – at that age, they probably think that there is only one “native speaker accent” in English. It is true that I’m a nNEST, but at the end of the day, I think what is most important to them is that they want to have a good teacher, who motivates them and brings the class alive. If you’re thinking of pursuing a career in teaching English, just do it. I know it won’t be easy and will be challenging, but think about the impact you will make on others: your students and fellow educators. I know I’m only in the first year of this long journey – but I also realise that I’m making an impact by, for example, sharing my story with friends who are too afraid to take risks in life. With the work in this blog, and all its contributors, I believe we are moving in the right direction. When I started in 2013, this blog didn’t exist (or, I hadn’t discovered anything similar). But today, there is a supportive community and like-minded people who hopefully will help you move forward. This is the favourite question at school, something that I often ask my students, and something they often ask. When I told them, “I love my job as a teacher and I’ve achieved my dream” – they don’t seem to be satisfied with that answer. And they somehow reminded me that it’s important to always have a dream for the future. Something that I’m currently enjoying is reading children’s book – and I hope to write a 2nd success story somewhere, after I have become a children book’s author! Nick Susatyo: I was born in Indonesia, I called Australia home for a long time, and I’m now residing in the countryside of Japan. At the moment, I’m teaching young learners in the Elementary and Junior High Schools. I’m living my life to the fullest, and am looking forward to wake up each morning to see my students in the school. For more teacher success stories, click here. My name is Nick too. Well, it is a nickname and I always go by Nicky, but Nicky is another way of calling Nick, which is the masculine form of Nicky. Anyway, I have read your blog and I identify with your story because the anguish of non-native speakers of English is also mine. I am a victim of discrimination often times and have been fighting to raise the awareness of such a condition. I have an MA in TESOL (Teaching English for Speakers of Other Languages). Starting this month, I am organizing a professional group Drive for Quality Education of English (DQEE) and planning to have its second meeting in March. I do not know where you live in Japan but if the time and place are convenient for you, I would like you to come. One of DQEE foundation spirits is to address the racial discrimination practiced in the English education world. My email address is n.sekino@silk.ocn.ne.jp. Im glad you made it! A few things though. First, how was finding a job on a tourist visa? I heard it’s getting more common, but I personally wouldn’t reccomend it as it seems to be a bit of a legal area. Also, ‘must reside in Japan’ means that you are a resident. If you are on a tourist visa then you arent residing, just on vacation. A lot of places say this as they dont want to hire someone on a tourist visa (legal grey area, hard work for the company, cant make them take their rip-off flat). I wouldnt want to defend hiring practices here because Im 100% sure there IS discrimination going on, but it is a bit of a stretch to say racism when the companies wont entertain hiring people who are on a tourist visa. Anyway, well done and good luck! Exactly right, it’s a grey area right there. Actually, what I did back then: hired a mobile phone (for several months, because it’s really hard to get a mobile phones, and because you want to be contactable), and I make business cards, with a Japanese mobile phone and address (my friend’s address in Kochi). That’s far enough as to get employers to contact me, and possibly give me an interview. Of course I also brought my original degree & teaching certificates. Once I’m in the interview (or phone interview), the tourist visa issue doesn’t seem to be the main concern for employers; if they have English school business that hires foreigners all the time, obviously it’s not a problem for them to switch my visa condition from tourist to instructor. But yes – indeed I agree that people who are already in the country and holding a work visa will find it easier to get a job (they just need the employers to renew the visa, rather than giving sponsorship). Don’t quote me on this, but I heard that several years ago the Japanese immigration prevented this from happen, and didn’t allow switching visa condition in-country like I did. But soon after they encounter difficulties filling in vacancies for English teachers, so they took back that regulation. I really want to teach in Japan, especially to the young learners but receive NO reply since I wasn’t a citizen of USA, UK, Canada, Australia nor South Africa! I am a Singaporean and I consider English as my Native language. I will definitely looking into going Japan with a tourist visa and then try to find a job there. Thanks for letting us know that that is possible!